Family photos in-home doesn’t have to be anything grand. “You do you”, as I like to say. I look for some lovely light, and then we just go with the flow! It is such an honor when a family invites you back into their home for new photos. The best part of this job is seeing how families are growing, new things they’re learning, how the love is expanding. Here’s a quick throwback to our last session together, their in-home Fresh 48 session. When you have a portrait session planned, consider photos that your photographer can take that you’ll be able to recreate down the road; photos that show how your children are growing. This photo is perfect! 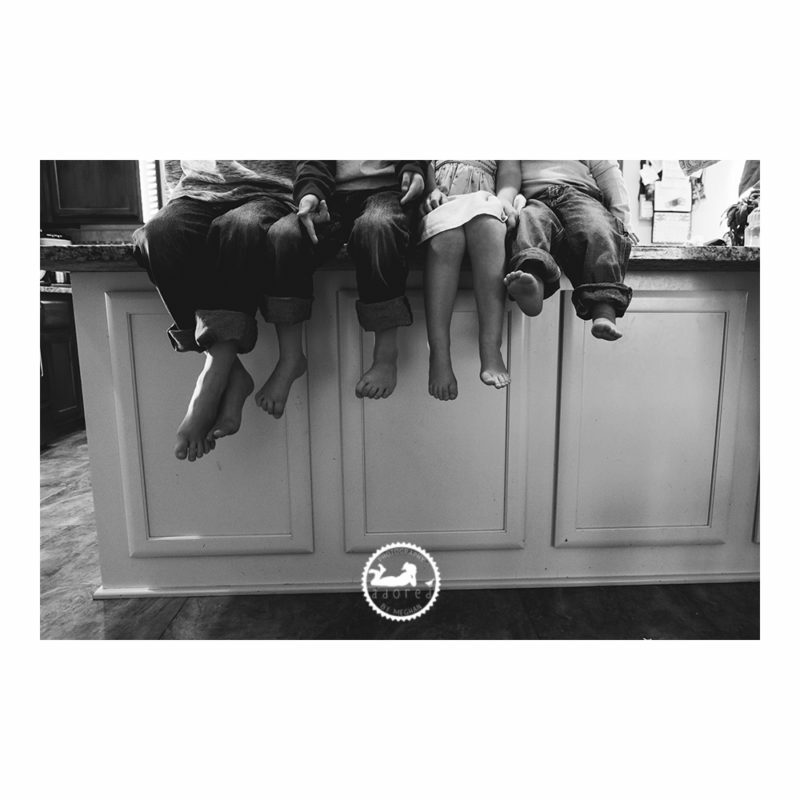 It shows all the kiddos lined up oldest to youngest on the family’s kitchen island, feet dangling down, showing how big the kids are. Can you imagine what this photo will look like 5 years from now? 10? 30? Can you imagine this photo being recreated at Sister’s wedding….. **wipe those tears Momma! ** Some of my favorite photos are captured on Mom & Dad’s bed. Snuggling up is so easy. 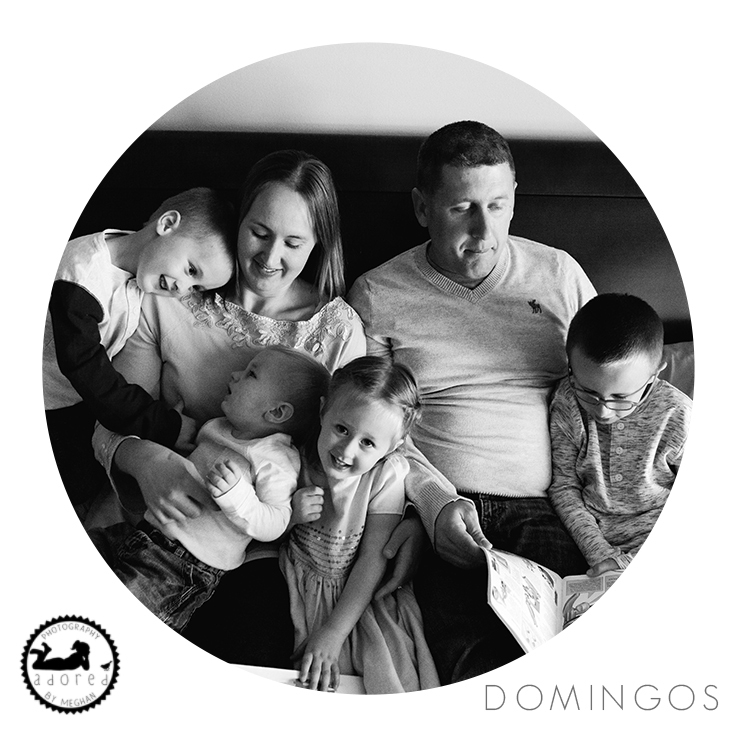 Lifestyle sessions generally end up with many, many images in the final gallery. Several families choose to purchase all of the files in digital form, but also have me create a book or album of their favorite images as their heirloom piece of art. Since there were so many images I loved from this family’s portrait session, and I didn’t want to overfill this blog post, I put together a video of several of their images. Enjoy! To schedule a family portrait session of your own, please use the ‘Book Meghan‘ tab to send me an email. Lovely family!!! 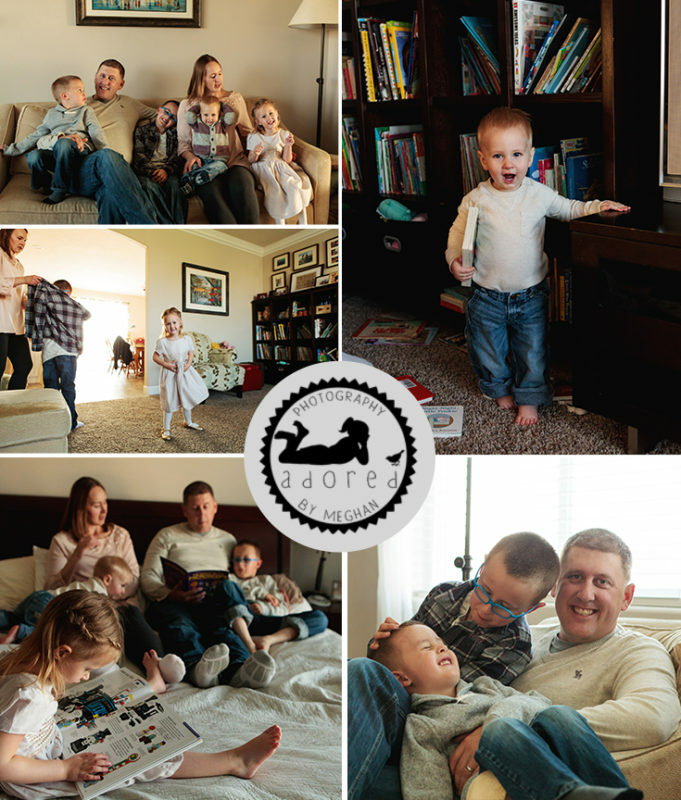 What a treasure to have someone photograph your family in your own home like that!